Oriana Singers meet for the 1st time to sing madrigals and ancient church music for their own enjoyment. The choir is soon invited to perform concerts and to provide choral music for church services and theatrical productions. Busy Winter and Spring seasons in the Cobourg-Port Hope area, and in various major centres in southern Ontario. Participated in many events of local significance - Cobourg Sesquicentennial Celebrations and the gala reopening of Victoria Hall in Cobourg. Won first prize at the Oshawa and Toronto Kiwanis Festivals, performing in the Festival of Stars at the St. Lawrence Centre. Their very high standing leads to their entry in the 1980 National Competitive Festival where they win the City of Lincoln Challenge Trophy as best chamber choir in Canada. Win the Fred Everett Memorial prize for excellence in choral singing the Toronto Kiwanis Festival. Commission Toronto composer Ruth Watson Henderson to write a setting of Psalm 150 to celebrate the 25th anniversary season. 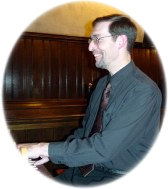 Randy Mills, Director from 1997-1998, has also been assistant director of the Northumberland Philharmonic Choir, co-director of the Upper Canada Boy Choir, and organist and choirmaster for Trinity College School, where he conducts the chapel choir and handbell ensembles. Marie Anderson, Director from 1998-2007, broadened the choir’s repertoire. During her tenure, membership grew and the choir performed more concerts, including collaborating with the Concert Band of Cobourg. Morten Lauridsen’s hauntingly beautiful Lux Aeterna, Wassail concerts, and party-focused fundraising concerts were introduced. The choir participated in an exchange with the Fanshawe Singers and performed at Kaleid Choral Festival in Kitchener. Works by Robert Grandy, Ruth Watson Henderson, and Mark Sirett were commissioned during this period. Markus Howard brought a new spirit to the choir from 2007 until 2018. 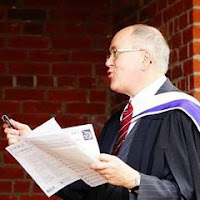 As a professional singer and much-in-demand adjudicator, he is also trained in conducting, dance, and choreography, sharing his wide range of skills and experience with the choir. Under Markus’s direction, the choir members were encouraged to stretch beyond their comfort zones, and subsequently performed repertoire ranging from classical to jazz, operetta, gospel, Motown, and Broadway showtunes, to major works such as Handel’s Messiah (now a tradition) and Gabriel Fauré’s Requiem. Our 2005 website is still alive and is an interesting snapshot of the way we were then. The name Oriana dates from the era of Queen Elizabeth I of England, when the art of madrigal writing was at its peak. The name Gloriana, shortened to Oriana, was a fanciful name for the Monarch. The finest composers of the time contributed beautiful and intricate compositions to a series of madrigals known as The Triumphs of Oriana as a tribute to the Queen. Each song from the group ended with the refrain, “Long Live Fair Oriana”.